Dr. C.L. 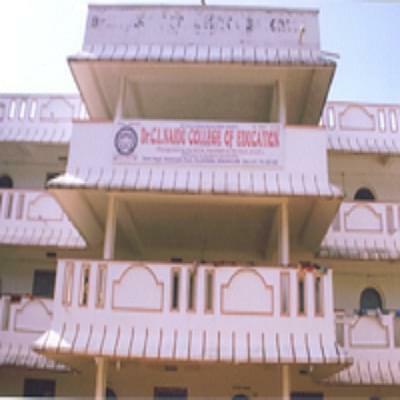 Naidu College of Education located in Srikakulam District, Andhra Pradesh. The college was established with the aim to cater the higher educational needs of rural people of Palakonda and its nearby places under the management of Sri Kota Durga Educational Society, Palakonda. The college aims at possessing sufficient theoretical and practical knowledge of Teaching Competencies. The objectives of the running society is to develop skills, understandings, interests and attitudes which would enable the student teachers so that they can develop all round growth and development of their students and to develop good communication skills among the students. Why to join Dr. C.L. Naidu College of Education? Awards and Achievements: College has won several awards like “Best College of Education”, “Best Student Teacher ” and many awards in the competition organized by the Dept. of Police on the Police Commemoration Day. Also ranked at 2nd Position in the top Best B.Ed College list in Srikakulam district. All Round Development of the Students: The college has conducted a rally to promote awareness among the people about the danger and prohibition on use of non-Licensed preparation of crackers. The college believes in overall development of the students by balancing academics, extra-curricular activities, and in sports as well.